(CN) – Courts play an increasingly significant role in determining how the United States addresses global warming, according to a new study that analyzes the impact of legal actions and judicial resolutions related to climate change. Led by researchers at George Washington University, the report examines the types of cases that have been adjudicated over time, as well as the mounting importance of climate science referenced in both complaints and verdicts. The team found air pollution and coal-fired power plants figured into the majority of the cases studied. Fifty-eight percent of cases were won by litigants opposed to government regulation. 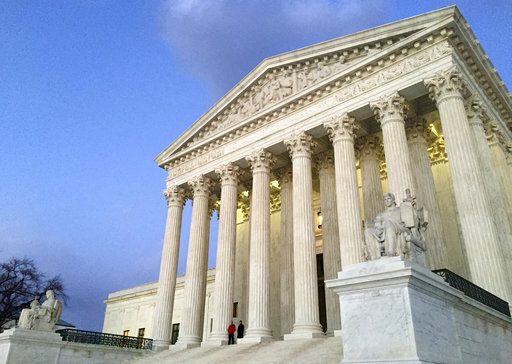 “The courts are a central, yet underappreciated avenue for the development of climate-related policy in the United States,” said lead author Sabrina McCormick, an associate professor at George Washington University. The researchers reviewed 873 judicial decisions between 1990 and 2016 and noted the number of judicial opinions that mention climate science has been increasing, particularly since 2006. Among the best-known cases is Massachusetts v. Environmental Protection Agency, in which the U.S. Supreme Court cited climate science when it enabled the EPA to regulate carbon dioxide emissions as a pollutant. However, the 2007 case is just one of hundreds of legal actions that address activities related to greenhouse gas emissions that have impacted government decision-making, according to the team. The study found science was cited more frequently in cases arguing in favor of regulation than in cases against it. The analysis also reveals the role of climate science in verdicts has grown in recent years. For example, climate science played a vital role in the 2009 decision by a federal judge to overturn the U.S. Department of Interior’s removal of the grizzly bear from the endangered species list. The decision was influenced by studies showing that global warming threatened the bears’ food sources. “Litigation related to climate change is likely to grow in the next few years in response to actions by the [Trump] administration and the Congress to roll back regulations dealing with greenhouse gas emissions and protections against the effects of climate change,” said co-author Robert L. Glicksman, a professor of environmental law at the George Washington University Law School. The team believes climate science will likely become more important in future judicial decisions. Legal actions by the nonprofit Our Children’s Trust are among the key ongoing cases related to climate change, according to McCormick’s team. In its lawsuit, the nonprofit claims U.S. states are constitutionally responsible for shielding children from the effects of global warming. The lawsuit, which is tentatively slated for trial in Oregon early next year, relies on climate science to address important legal hurdles, and the researchers note that similar cases are pending across the nation. The researchers say courts will likely respond to a growing number of cases challenging federal agency failures to adequately evaluate how their decisions impact climate change, particularly with regard to environmental impact assessments and implementation of the Endangered Species Act. Other nations have also used legal approaches to more effectively confront climate change. In the Netherlands, a court has ordered the government to make efforts to drastically reduce greenhouse gases based on decisions by a Dutch Supreme Court ruling that the government can be legally accountable for failing to prevent foreseeable harms to its citizens.